Snellville is located east of Atlanta in Gwinnett County. It’s a city that exudes small-town charm while also providing a bustling atmosphere for its local business owners. Snellville is well-known for its popular festivals, and it’s just a short drive from Stone Mountain Park and many other parks in the area. There’s also award-winning schools and world-class medical centers in Snellville, making it the perfect place to call home whether you are a young family, a single professional, or a senior citizen. Snellville’s population is overwhelmingly made up of homeowners. In fact, nearly three-fourths (74 percent) of people in Snellville own their homes, while just 26 percent choose to rent. Part of this is due to the fact that housing is simply more affordable in the city, while the rent is higher than the national average. In Snellville, the median home value is $156,000, compared to the national average of $184,700. The median rent is $1,230, while the national average is $949. The most popular home styles here are the ranch and raised-ranch. Snellville makes it easy to get anywhere you want to go because it has several major roadways traveling through it and it has good public transportation coverage. You can get a direct route to Atlanta from Snellville using the Route 418 Xpress bus service and there are several other bus lines throughout the city. Highways include U.S. Route 78, Ronald Reagan Parkway, and State Routes 84 and 124. The city is also taking steps to make itself more pedestrian-friendly with the Ivy Creek-Snellville Trail in the proposal stages of completion. Snellville is a diverse community consisting of African-Americans (41 percent), Whites (41 percent), Hispanics (11 percent), Asians (four percent), people of two or more races (two percent), and American Indian/Alaska Natives (one percent). There are more women than men in the city at a rate of 53 percent-to-47 percent, and 35 percent of adults have earned at least a bachelor’s degree. Snellville’s population is also well-dispersed among age groups with the two largest groups being adults aged 35-to-44 and seniors 65 and older, each accounting for 15 percent of the city’s population. Snellville has a median household income of $67,705, compared to $55,322 nationally, although 44 percent of households earn $75K or higher. Meanwhile, the median individual income in Snellville is $27,319, which is actually lower than the national average ($27,419). Snellville’s unemployment rate is 4.8 percent, a full percentage point higher than the national unemployment rate of 3.8 percent. Snellville has an exciting culinary scene where you can find just about anything you’re craving. You’ll find authentic Italian-American dishes at Provino’s Italian Restaurant, spicy Mexican delights at El Jinete Mexican Restaurant, and excellent Chinese and Asian cuisine at Mah Jong Chinese Restaurant. In the mood for sushi? Try Sushi Avenue. Want a big, juicy steak? Go to Texas Roadhouse. Whether you want a quick lunch or an affordable dinner, you’ll find plenty of options in Snellville. Main Street Restaurant is a popular lunch spot, while at Blinky’s you can grab a burger and fries that are a lot better than the usual fast-food joints. Or, you can go to Mr Eggroll Chinese Restaurant for quick and cheap Chinese food, or Rice Box if you want Thai. Snellville also has a good variety of places to enjoy yourself after the sun goes down. If you’re into hookah, then pay a visit to Tapas Bar & Lounge, or belt your lungs out on Karaoke night at Riley’s on the Square. At Thirsty Mona Lisa, you can enjoy an evening of painting and wine, or head to Duluth and dance the night away at Prime Bar & Lounge. Whatever your flavor of nightlife, you’ll find it in or around Snellville. Snellville is a city of festivals and community events. There’s the popular Snellville Days Festival, the Fall Festival, and the International Festival, as well as movies in the park and a calendar of free summer concerts. 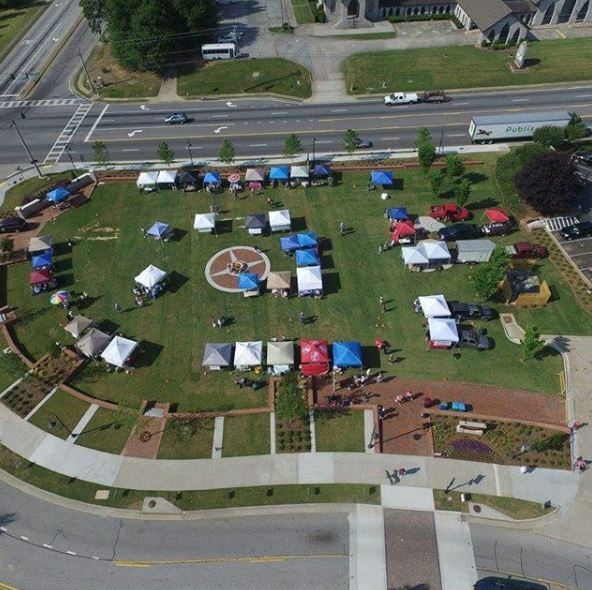 The Snellville Farmer’s Market is a local favorite and there are several parks in and around the city where you can enjoy an endless array of recreational activities. And, Stone Mountain Park and all of its wonderful attractions is just six miles away. Those who love history, culture, science, and the arts will enjoy all the museums in close proximity to Snellville, like the Southeastern Railway Museum in Duluth, the Fernbank Science Center in Atlanta, the High Museum of Art in Atlanta, the Georgia Museum of Art in Athens, and the Bartow History Museum in Cartersville, just to name a few. Snellville has a large senior population, and it provides them with all the services and programs they need to stay healthy, entertained, and socially engaged. The Snellville Senior Center is where adults 55 and older can attend exercise classes, billiards, knitting, painting, computer classes, once a month day trips, and so much more. Snellville’s residents enjoy excellent medical services delivered by the world-class Eastside Medical Center. Snellville is also home to the Emory Heart Center, Piedmont Heart, and Tree Lane Southwest Eastside Women’s Center. Snellville is a popular place to call home for people of all walks of life, all professions, and all ages. It’s where you want to live if you want access to excellent medical services, great public schools, and a good supply of restaurants, shopping, and entertainment options. With housing still affordable in Snellville, now might be the perfect time to start planning your move because the more people learn about this vibrant suburb, the faster it is going to grow. Feeling Brave (Atlanta Braves)? Sign up for FREE Atlanta home trends alerts sent directly to your inbox!